Mrs Hare has been to the market for carrots with her twin babies. She is made of hand painted resin with an old vintage look finish and is approx 3.5" x 8.25". 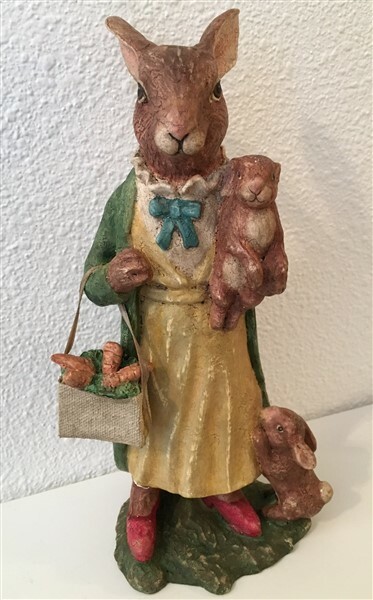 What a great addition to your bunny collection!